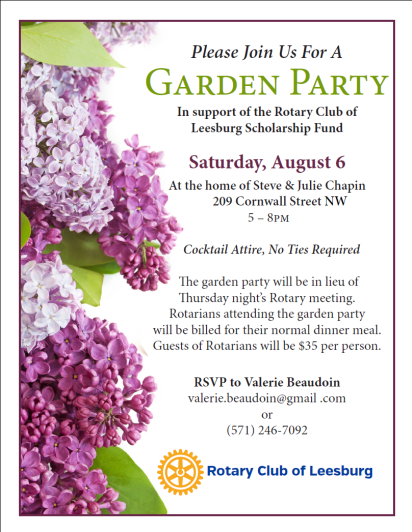 We hope you will plan to join us for a Garden Party August 6, 2016 from 5:00pm - 8:00pm to support the Rotary Club of Leesburg Scholarship Fund. The Scholarship Fund allows us to award a college scholarship to two students each year. It's a great cause.